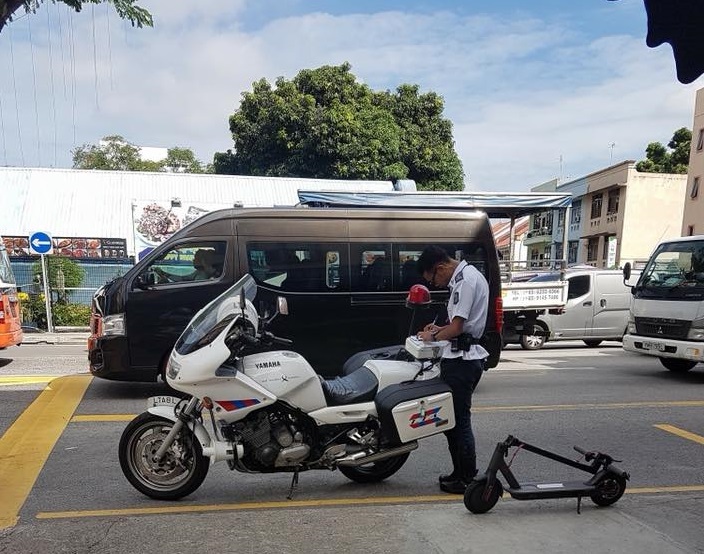 ENFORCEMENT AGENCY ARE CLAMPING ON E-SCOOTERS RIDING ON THE ROAD! DON'T ON ONE WARN YOU HOR! You are at:Home»Featured»ENFORCEMENT AGENCY ARE CLAMPING ON E-SCOOTERS RIDING ON THE ROAD! DON’T ON ONE WARN YOU HOR! ENFORCEMENT AGENCY ARE CLAMPING ON E-SCOOTERS RIDING ON THE ROAD! DON’T ON ONE WARN YOU HOR! Don’t play play! arh E-Bike/Scooters better keep off the roads! Enforcement officers will be there to penalised you if your not following the law! Previous ArticlePresident of Kazakhstan Nursultan Nazarbayev signed the Code “On Subsoil and Subsoil Use”, aimed at improving the subsoil use regulation system. Next Article HOME FIX WAREHOUSE SALE FROM 28-31 2017! FREE PARKING AVAILABLE!